An improved batting performance will be foremost on skipper Harmanpreet Kaur's mind, when Indian women eyeing a consolation victory, take on New Zealand in the third and final T20 International on Sunday. After winning the ODI series 2-1, Indian women lost momentum and subsequently the T20 series. With an aim to build a squad for ICC World T20 in 2020, the Indian team management decided to drop team's senior batswoman Mithali Raj, who is no longer considered a force to reckon with in the shortest format. Only time will tell whether this inspired call pays dividends in the long run but the results have been far from encouraging in the first two matches which India lost by 23 runs and four wickets respectively. "We are building a team. Today, we may be facing difficulties but in future we will do well as the young players gain experience. I think the future is good for the team and results will follow," skipper Harmanpreet had said after conceding the series. In both games whether chasing or batting first, India are stuck in the less than 140-run mark, which is below-par against a top team like New Zealand. The biggest problem has been the lack of fight from the middle-order save Smriti Mandhana and Jemimah Rodrigues, who were top scorers respectively in the first two games. Debutant Priya Punia's lack of experience has been evident but probably what hurt Women in Blue most is skipper Harmanpreet Kaur's indifferent form. The Indian captain scored 17 and 5 in the first two games. She has been rusty due to lack of batting time since the start of the ODI series where the visitors won quite comfortably. "We did not win the series but more than winning and losing, we learnt a lot. We have a very young squad, there are very few players who have played more than 30 matches. Most of the players have played less than 10 T20I matches. It is a good learning process for us," Harmanpreet has rued the lack of experience. One of the biggest problems for Indian team has been deciding on what exactly is Deepti Sharma's role in the squad. As an off-spinner, she is neither as restrictive as left-arm spinner Radha Yadav nor an attacking option like leg-spinner Poonam Yadav. As a left-handed batswoman, she lacks the firepower to up the ante in the final overs of the innings. She has failed repeatedly over the last two years to change her game and it will only be fair if the team management decides where exactly she fits in. If they are unable to find Deepti's replacement, it will reflect more about the lack of quality in the bench strength. The White Ferns have picked their game since losing the ODI series with senior batswoman Suzie Bates scoring 57 in the final one dayer and a match-winning 62 in the second T20 International. 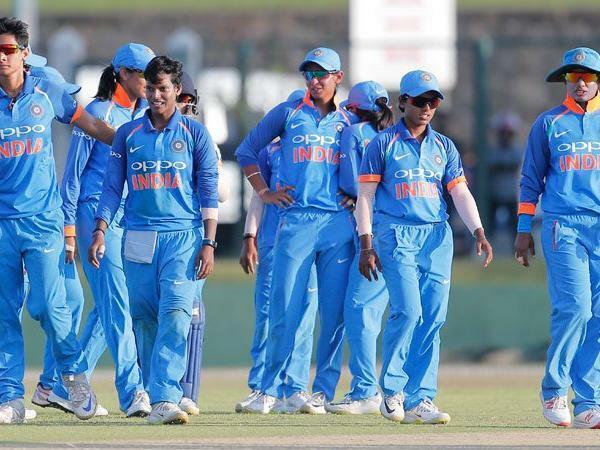 Squads: India: Harmanpreet Kaur(c), Smriti Mandhana, Mithali Raj, Jemimah Rodrigues, Deepti Sharma, Taniya Bhatia, Poonam Yadav, Radha Yadav, Anuja Patil, Ekta Bisht, Dayalan Hemalatha, Mansi Joshi, Arundhati Reddy, Shikha Pandey, Priya Punia. Amy Satterthwaite(c), Suzie Bates, Bernadine Bezuidenhout, Sophie Devine, Hayley Jensen, Caitlin Gurrey, Leigh Kasperek, Amelia Kerr, Frances Mackay, Katey Martin, Rosemary Mair, Hannah Rowe, Lea Tahuhu. Match starts 7.30 am IST.